Built in 1926, FGEX 50220 was donated to our museum by the Fruit Growers Express company in 1996. It was their support car in Niagara Food Terminal in Buffalo. 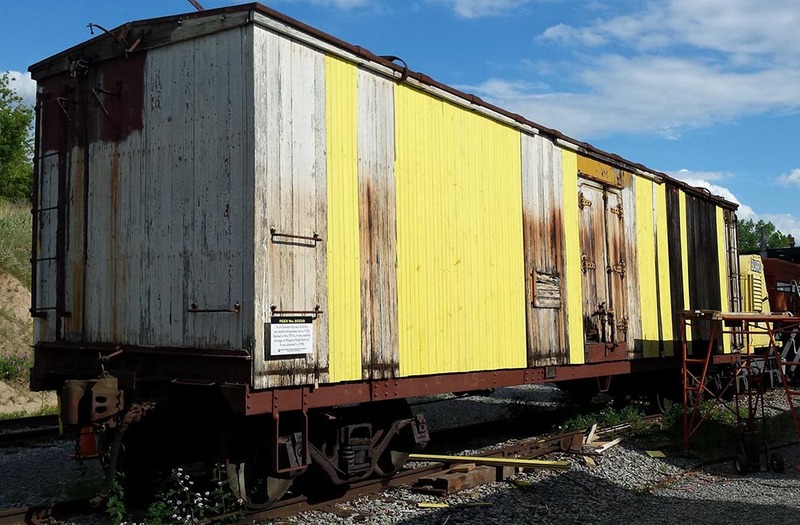 The car was acquired to expand our freight car collection to give us a representative wood sided car that was typical of the kind that were manufactured in East Rochester by Despatch Shops. It has had some stabilization work performed and a coat of primer applied in 2002. The car is currently used for storage of museum materials. Ice-cooled refrigerator cars like these were phased out through the 1960s in favor of cars equipped with mechanical refrigerator. Stencils on the car indicate it was last serviced in Jacksonville, Fl., in 1966, and possibly still in use to haul bananas into the early 1970s. It was moved from Buffalo to our museum at Industry by truck in 1996. In 2016, two museum members matched contributions from the museum to replace badly damaged siding on the west side of the car. Volunteer Dave Petersen made most of the repairs to the siding, and headed up the repainting project. The entire car got a fresh coat of paint, and our goal is to backdate the car to its pre-war decoration. Experiments with refrigerator cars began in the 1860s and by 1872 meat was being shipped successfully within the Eastern states. By 1887 wholesale meat shipping was reliable enough to allow Midwestern cities such as Chicago and Kansas City to become national meat packing centers. The idea of shipping fruit and vegetables as well as meat, quickly caught on. In 1887 there were 2,200 shipments of citrus from California and by 1893 that number had more than doubled. California growers were no longer restricted to local markets and, as a result, the agricultural industry expanded until California became the number one farm state in America. In 1924 there were more than 150,000 similar cars were in service. Refrigerator cars could not operate efficiently without an elaborate support system. Icing stations had to be located at regular intervals, railroad scheduling had to be reliable so that trains would reach the icing stations before the ice melted, and a dependable marketing system had to be in operation so that the most perishable produce would not rot on the loading docks. Most railroads were slow to recognize the significant profit to be made with refrigerator cars. 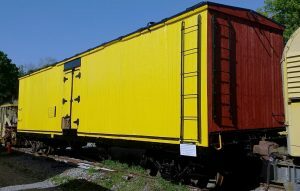 Initially, private companies owned the reefers and contracted with the railroads to haul them, operating “fruit blocks,” special trains consisting entirely of refrigerator cars carrying perishables. These trains were given priority over most other traffic. Eventually most railroads purchased their own refrigerator cars or formed refrigerator car subsidiaries with other railroads. The most successful private refrigerator car company was the Armour Car Lines, including its subsidiary, the Fruit Growers Express. Success led to downfall, for in 1919 the Federal Trade Commission ordered the sale of the produce hauling subsidiary for anti-trust reasons. A group of eastern and southern railroads formed a new Fruit Growers Express Company in 1920 to take over the operations. By 1926 FGE had expanded service into the Pacific Northwest and the Midwest through its partly owned cooperating subsidiaries, Western Fruit Express and Burlington Fruit Express.